High Lifter Products Mud Nationals is kicking into gear! David Nail was just announced for the Friday night concert. Mark you calendars for March 28 – April 1, 2012. Mud Creek Off-Road Park will be the place to be! 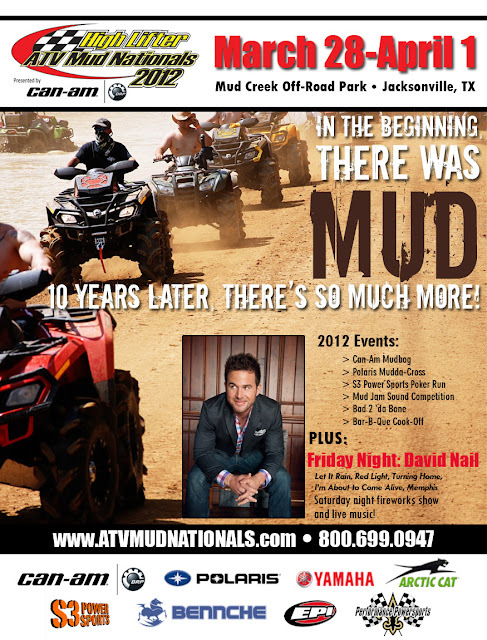 Make sure to “Like” High Lifter’s facebook page and also check out www.atvmudnationals.com for all the details.